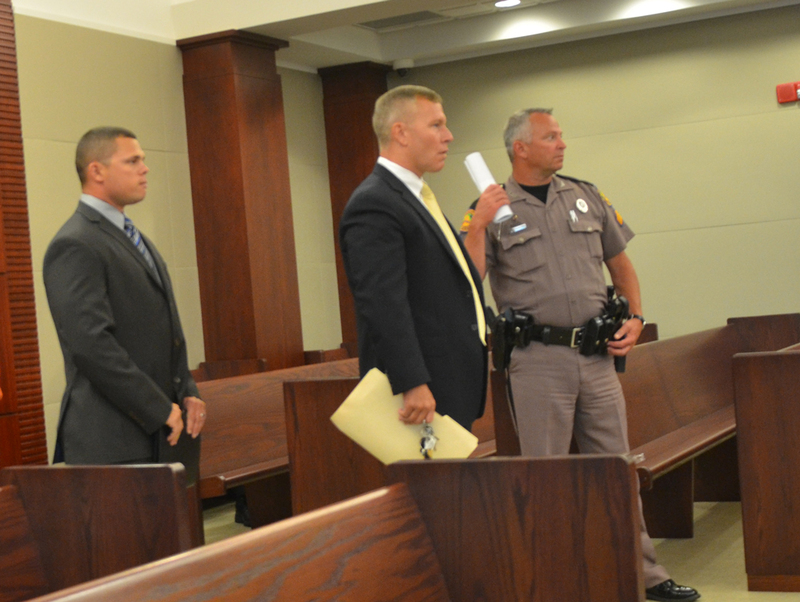 The perpetrators of three high-profile wrecks on Flagler County roads this year—two of which resulting in the death of two men, and another resulting in a man’s severe injuries—appeared before a circuit judge for their cases’ final disposition this morning. The drivers, who include a Flagler County sheriff’s deputy, were handed only light fines. None of the three lost his driving privileges or was required to serve community service hours. The law provides for such penalties, but leaves them to the discretion of the judge. The sentences were imposed by Judge Pope Hamrick, who was sitting in for County Judge Melissa Moore-Stens, who is on vacation. Hamrick retired at the end of 2006 after 18 years on the bench in Volusia County, and was called in for the traffic infraction hearings. The hearings provide a seldom-opened window to what happens after attention has dissipated from wreck scenes and pain or grief has retreated to only those most immediately affected by the life-changing, or life-ending, events. The brother of one of the dead victims and the still-injured victim of another wreck were stunned by the light sentences, which they heard as they sat in court this morning, after themselves speaking to the judge and asking that the stiffer penalties be imposed. 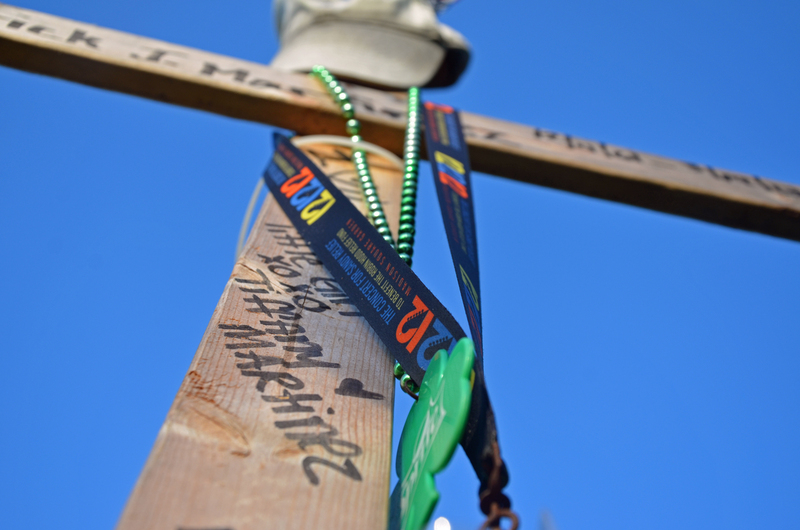 “Accidents happen, but you have to be held responsible for your actions,” John Martinez, whose brother Frederick Martinez, 51, was killed the afternoon of March 19 when Little, 33, struck Martinez with a van. Martinez was in the bike path on 100, heading home to Flagler Beach. Little said he sneezed at that moment, causing him to swerve and strike Martinez, and drag him several dozen feet. “He’s an adult, I’m an adult,” John Martinez said. “If I kill someone I’m responsible for it. I should pay something, to the state, something to the family. Nothing. I was told he should get $1,000 fine, 120 hours of community service at a trauma unit, and his license suspended for a year. That’s the max. The judge gave him the minimum. It’s just upsetting.” Little was also charged with careless driving. 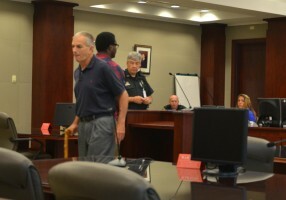 The second case involved what the sheriff’s office initially termed the hit-and-run wreck on Palm Coast Parkway the morning of April 18 that left 62-year-old cyclist Terrance Conley severely injured. Marquis Norwood, a 19-year-old student at Daytona State College, was eventually charged with careless driving, but not leaving the scene of the accident. The third high-profile case relates to the Feb. 13 wreck on the western portion of State Road 100 when Flagler County Sheriff deputy Christopher Crego, 31, who was speeding up to 122 miles per hour—according to GPS data gathered by the Florida Highway Patrol—to respond to a crash-with-injuries call further west, collided with a van driven by Eduardo Luis Pacheco, 64, sending the van on a series of flips and killing Pacheco. Crego was cited with careless driving. Little and Norwood pleaded no contest. They were each found guilty and fined $500, plus $166 in court costs. Norwood has to take his driver’s exam again within 30 days. Crego changed his plea from not guilty to no contest. He got a $1,000 fine, and adjudication was withheld, after his attorney asked the court to do just that so Crego could retain his driver’s license. The “may” leaves it up to the judge’s discretion. 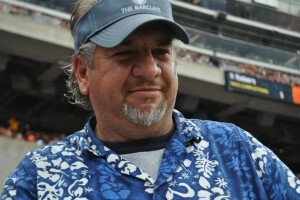 Hamrick opted not to impose the stiffer penalty. Hamrick did not explain the disparity between the sentences, nor their relative lightness. Crego alone was represented by an attorney, Mike Finesilver of the Fraternal Order of Police, who cited Crego’s “fine driving record” and the fact that he was on duty, answering a call, as reasons to go light on his sentence. Finding him guilty, Finesilver told the judge, would result in his driving privileges being suspended, and his inability to be a road patrol deputy. Hamrick asked for a recommendation from a Florida Highway Patrol sergeant who was part of the investigation, and who was in court with one other trooper. The sergeant declined to give a recommendation, saying it goes against department policy. But he gave a detailed account of the investigation, outlining Crego’s speeds recorded by various means, and explaining how those speeds topped out at 122 miles per hour 10 to 15 seconds before the collision. Pacheco , the victim, had slowed his van to 31 miles per hour on the approach of Crego’s police lights, records showed, while the school bus that was driving in the opposite direction, and that caused Crego’s double-maneuver—pulling into the passing lane, then pulling back behind Pacheco’s van and crashing against it—had slowed down to 20 miles per hour. At the point of impact, when Crego is assumed to have began slowing down, the sergeant said the last recorded speed by the deputy was 76 miles per hour. Crego, who had been with the sheriff’s ioffice a year and a half at the time of the crash, was himself seriously injured. He was paid $33,000 a year. He was out on medical and workers’ compensation leave for two weeks, and was then placed on paid administrative leave from Feb. 27 to March 13. Crego appeared in court today, in a suit and tie, alongside his attorney, with family in the small audience. His was the last case heard in the morning session. Hamrick had earlier taken just 15 seconds to look at the report of the Little case before starting to engage Little, who stood appeared in a suit and tie. Little is married and has two children, he told the judge. “What would you like to say to me?” the judge asked Little. Little appeared surprised by the question. “I’m not sure what I’m supposed to say,” he said. John Martinez then addressed the court before sentence was imposed. Norwood’s case followed—after a few other, less high-profile cases. He described driving on palm Coast Parkway and hitting Conley with his car’s mirror, though Norwood said he was unaware that he’d struck the cyclist. “You say you continued on to school,” the judge asked. The judge said he did not understand why a leaving-the-scene of an accident citation was not issued. Conley then went to the podium. “I don’t know what happened, I just heard an explosion, and it was me getting hit by a car. Thank god for the witnesses on the scene that they obviously were able to track [Norwood] down. For someone to say that they did not know they hit me, that is beyond my wildest imagination, because the sound it made that morning was like a mortar shell, I mean it was just amazing. I’m not working a very limited schedule. I’ve had a business in this county for 34 years that I was able to run successfully, and I’m not sure if I’m going to be able to keep it open now. I don’t know how much longer I’m going to be able to work. In my injuries I have a shattered elbow, I have a fractured femur, fractured skull. I work as a beautician barber, so I’m very limited in my abilities to work now.” He was in intensive care for five days, then to a rehabilitation center for two and a half weeks. He’s still rehabilitating now. He walks with a cane. Speaking outside the courtroom after the sentence was handed down, Conley reflected on the coincidence of his case going before the judge at the same time as the Martinez case, which he had been following. Appalling! Shame on you Judge Hamrick, and these cops have the nerve to give a kid a $68.00 fine because he did not hit the “walk” button. Something is very wrong in this town. Interesting that these high profile cases are scheduled for when the regular judge is out of town. Sounds like political convenience to me. DISGUSTING!!!!!! I did notice that one of the defendents worked for the sheriff’s dept. What a kangaroo court system! We all have to be responsible for what happens when driving a vehicle. It doesn’t matter whether it is a policeman responding to a call or if someone accidentally sneezes. Leaving the scene of an accident with personal injury is totally inexcusable. How can this person even have the job of being a judge. Two people are dead, one has lifetime injuries and three families lives have been changed forever. I bet he would have responded differently if these people were family members of his. Whats really happening is all These Pedestrians, and Cyclists NEVER use the Crosswalks or button , they just walk across when all is clear, it only takes 15 secs to hit a button and 1 sec to hit and kill someone, No wonder there are so many accidents in this town everyday ………………. Im Sorry that this happened, but i wasnt putting the blame on anyone in this case, just in general, I apologize to the Both Sandra and Tami. you are wrong. re-read or read for the 1st time what happened in each case. you have some nerve blaming the victim! excuse me–my brother DIED!! he was in the bike lane. That Judge should be held criminally responsible for his actions. What if it was his family? Then things would be different. I would still sue for wrongful death, if not criminally, at least a civil suit. Disgusting! 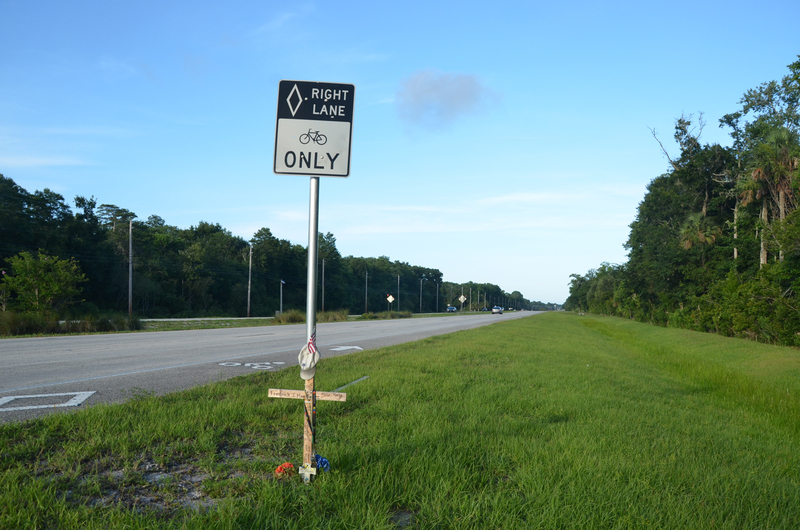 And before these, let’s not forget about Kyle Forgie who was hit on his bike on Palm Coast Parkway near I95 last December. He remains in the hospital. His life is changed forever and, the last I heard, no one has been charged. IMO, there is a reason this judge is no longer on the bench! He showed it in court today! These should have been the appropriate sentences allowed by law. Medical Center’s Trauma Unit, and suspension of driving privileges for 2 years. Community Service at Halifax Medical Center’s Trauma Unit. Seeing as Deputy Crego was responding to an emergency scene with serious injuries, he was responding with lights and sirens at above normal speeds. However, 122 MPH is quite excessive even when responding with lights and sirens. The fact that the victim in this incident was attempting to pass a slowing school bus shows that he was also in the wrong for attempting to pass while an oncoming emergency vehicle was approaching, therefore negating the need for potential jail time in my opinion. If we have laws on the books, we need to consider eliminating MINIMUM and MAXIMUM sentences to be faced by those charged and convicted. THIS is the law, THIS is the penalty for breaking it. PERIOD. It is about time we figured out a way to change the criminal justice system to where it will actually work. Seems as though child molesters and murderers are getting lighter penalties than drug dealers and thieves………and people wonder why our prison system in Florida is so over-crowded! The victim in the van was not trying to pass a school bus. The school bus was going in the opposite direction. In fact the van was slowing down to allow the deputy to pass him. However, to avoid hitting the school bus head on, the deputy rear ended the van. The deputy has a responsibility to keep his car under control at all times even if responding to an emergency call…period! Explain to me how you think Norwood should get by far the harshest sentence when he’s the only one of the 3 defendants that didn’t kill someone? Is it a coincidence he’s also the only minority in the group? And we wonder why so many minorities are locked up in our state’s prisons…. doesn’t matter, a smack on the wrist and he walks away (without needing a cane!) Fleeing the scene and leaving a person to lay there and die is no different than killing someone. Same outcome in the Florida Court system fine $666. .
Hopefully they’ll be some justice if there is a civil case against him. Thanks to Flaglerlive.com for posting this type of information. Imagine the ripple effect it may have on the entire legal system. Judges may be more inclined to use the maximum authority given them by law, police officers may be encouraged to write stiffer tickets, witnesses may feel their testimony is worth listening too, jurors will be more empathetic to injured victims, and maybe, just maybe, drivers will be more cautious. I wonder how many of the injured victims feel like their out of court settlements (assuming there was some insurance) were fair compensation for what they have had to go through? Wonder what kind of civil cases the victims can bring against the offenders???? Thoughts? Act of God….let’s hope the civil case makes little understand it was his act that killed Freddy. NOT AN Act of GOD. no remorse in the whole court room. No matter how serious the CFS (call for service) is, there is no excuse for responding at 122 mph. Florida statutes require that the operator of an authorized emergency vehicle to drive with due regard for the safety of others. What a travesty these court hearings and that judge! Very peculiar that judge Moore was on vacation…smell also political maneuver. Pedestrians, Cyclist, Motorcyclist are very vulnerable and looks like they have no rights against careless, aggressive drivers that injure them or kill them. Shame. How about an apology LITTLE???? an act of GOD? how DARE you?? I am completely disgusting with the results of ROBERT LITTLE! My birthday was yesterday and to hear this news…. I am Fredrick Martinez’s daughter…. I am in Spain right now studying abroad with USF…..not only was my life changed and my father was suppose to be here in Spain with me now…..but march 19th changed my life forever…. nothing will ever replace my father and this whole in my heart, but I am disgusted with the results and so dishonored I serve this country! This is one of the reasons…. I hope your resting in heaven dad and I miss you & love you with all my heart!!! I also think it was a “nice” maneuver to have the case involving the deputy at this time. I wish I could meet with everyone’s family and see what else we can do about this. Flagler county residents needs to be heard. I lost a loving family member by an individual driving 122 mph!!!! This is a great article, I was not aware of the outcome with the other victims. So disgusted with this judge!!! This system is corrupt!!! If this happened to someone else going that speed they would be behind bars on manslaughter charges with no bail. This was a family member who Deputy Crego murdered!!!! So it’s alright for deputies to speed to answer the call but kill someone on the way there. Even if you are on a call to an emergency you shouldn’t be speeding at 122 miles an hour. This is a shame on the Sheriffs Department. I hope he realizes that he has put us through so much with this loss. You took him away from us 1 day before Valentine’s Day, 2 days after his 40th Wedding Anniversary and 3 days before his Wife’s Birthday. He was an amazing man who is no longer with us because of some wrongful act of negligence on someone else behalf. Officer Crego was driving 122 mh.The police are not to endanger others going to a call. He was careless and seams like he has no remorse of what he did nor the police department. This Judge should be home and not even hearing cases anymore. Mr Pacheco was slowing down 31 mh he was getting of the road when he was struck at a high speed . He hit Mr Pacheco and caused his van to roll causing his loss of life , and leaving behind his greaving widow and children. Officer Crego is alive and never was without pay. When Mr Pacheco is no longer with us. And the stupid that said Mr Pacheco was trying to pass the school bus needs to get his or her facts correct !!!! I hope the Flagler County Police Department is reading these comments and also Officer Crego. To see how his carelesses caused so much grief. I believe if there is enough out cry by the people of this city to show that we will not let Police officers get special treatment because they wear a badge and a patrol car. They should be punished for wronging as everyone else. Now as we await the investigation by the Flager County Police Department and i am sure that they will also give Officer Crego a slap on the hand for causing a death. We must not let this happen!!! He should be removed of his badge and to no longer be a Police Officer. I hope that Flagler Live would print these comments on the front page so people could not let this go forgotten.